From every angle the display impresses. 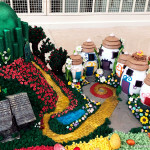 And the characters reflect a slew of popular Disney icons from movies to television to parks! 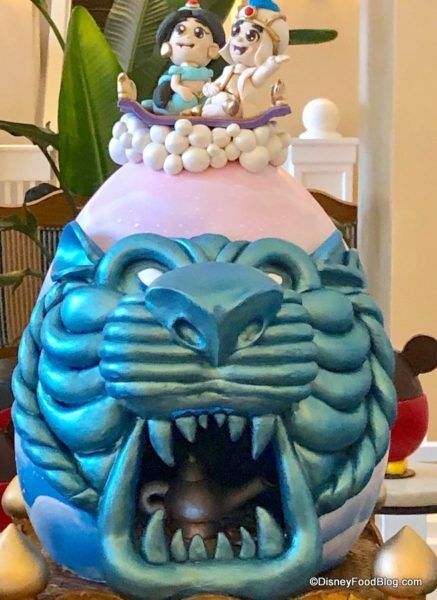 See Stitch bursting out of an egg? So cute! 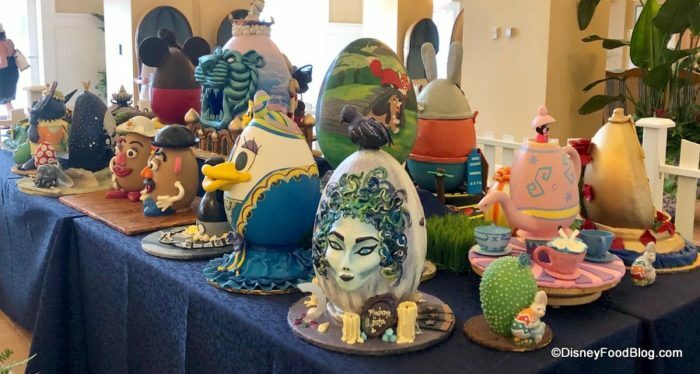 In between the showcase eggs are often smaller seasonal eggs and figures not to be missed! Let’s start our photo tour with the main mouse. 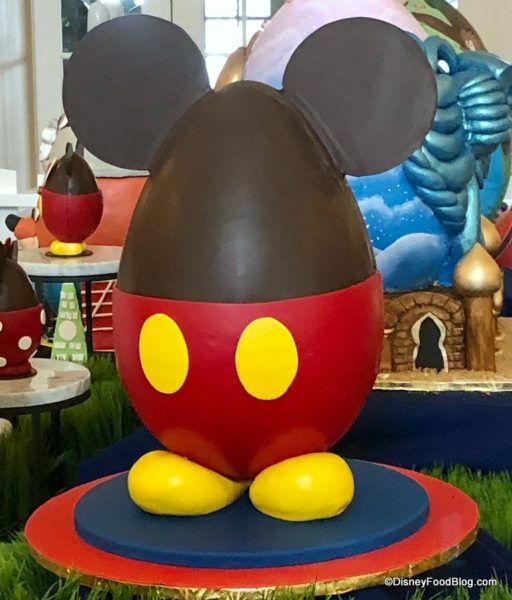 The Mickey Mouse egg is simple — and perfect in that simplicity! Mrs. and Mr. 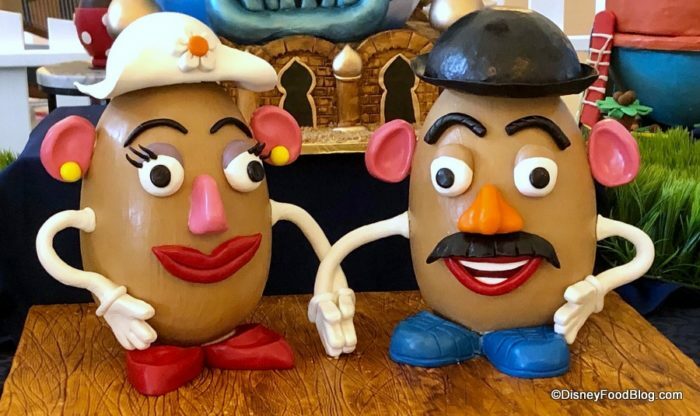 Potato Head are sharing the Easter egg love. They both look almost as pretty as a Picasso! This next egg is worlds colliding: it’s the Steamboat Willie Popcorn Bucket… in Easter egg form! How clever! Check out that popcorn and the filmstrip! 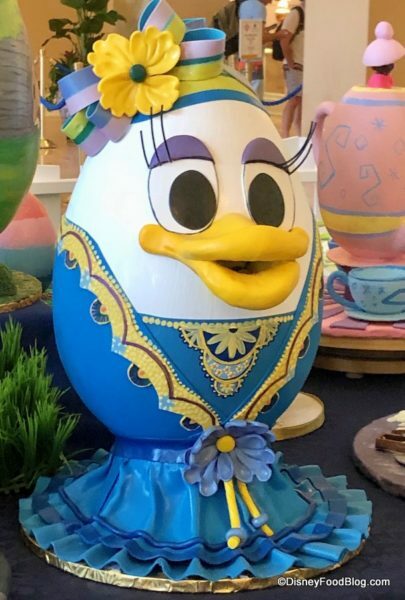 Daisy Duck is wearing her finest Cape May Cafe costume in this charming egg! (See her in her costume at the restaurant here!) Love! 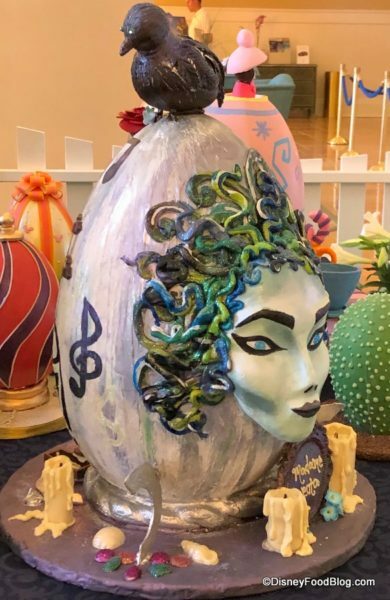 Madame Leota joins the Easter egg party, too, complete with a raven atop her head and Medusa-like hair! Her 3D face is amazing! 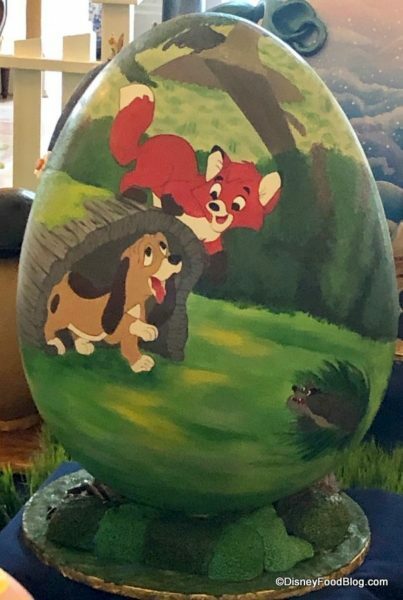 This Fox and the Hound painted egg is adorable! 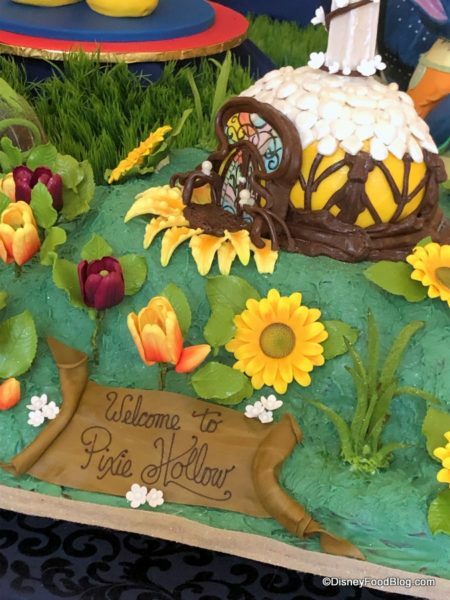 So much talent in the pastry kitchen here! 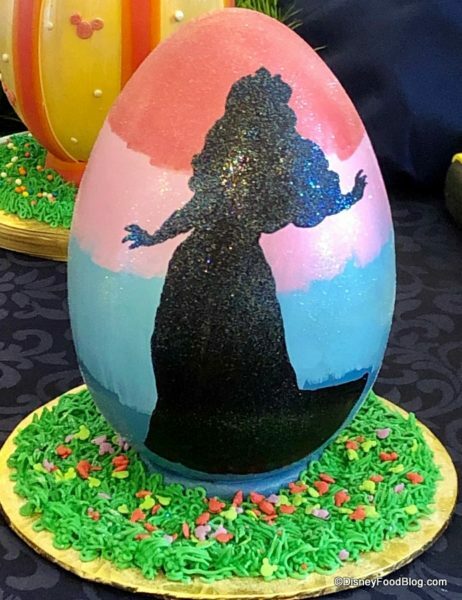 This small painted egg captures Aurora’s silhouette perfectly (see the peak of her crown?) 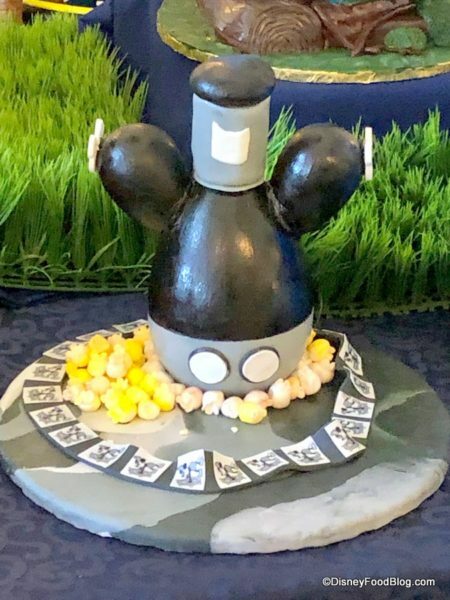 — and the whole thing is covered in a sheen of edible glitter! 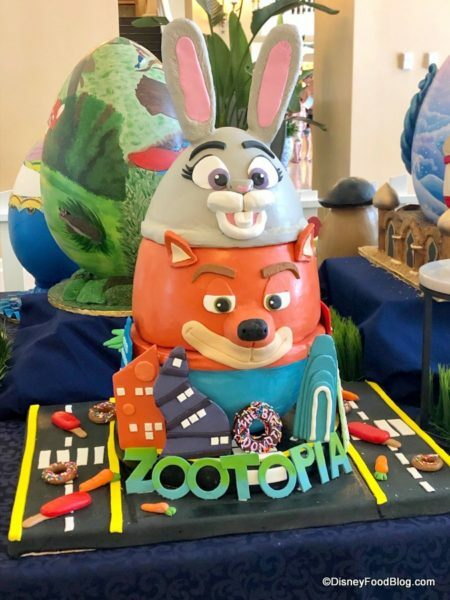 The Zootopia egg is massive and features Judy and Nick with their trademark cheerful and cynical expressions. 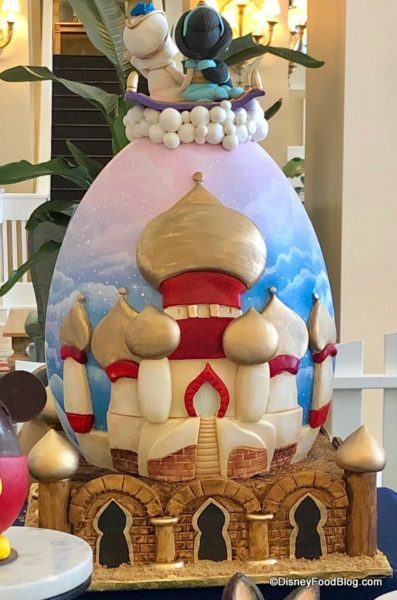 Details on the base of this egg are awesome. 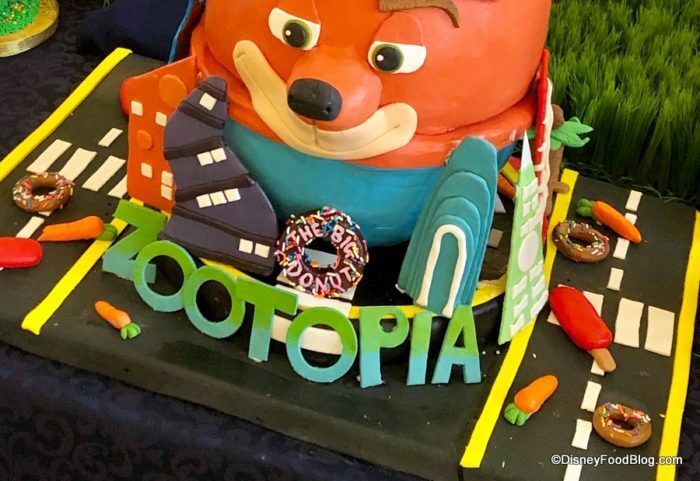 The Big Donut, Paw-psicles, carrots, and more! 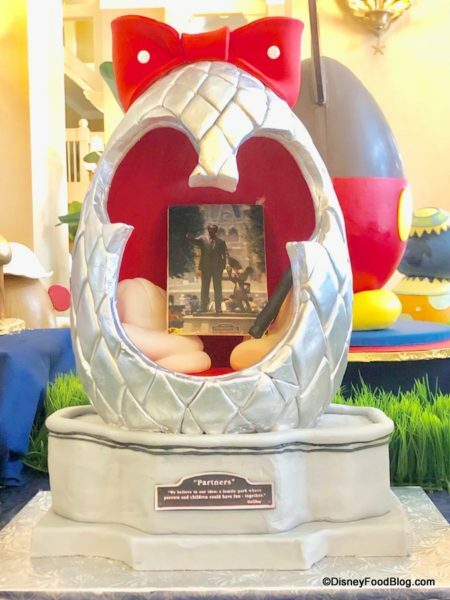 And our photo tour ends where it all began: with Walt and his Mickey Mouse captured in this Partners Statue egg. So simple, pretty, and sentimental. 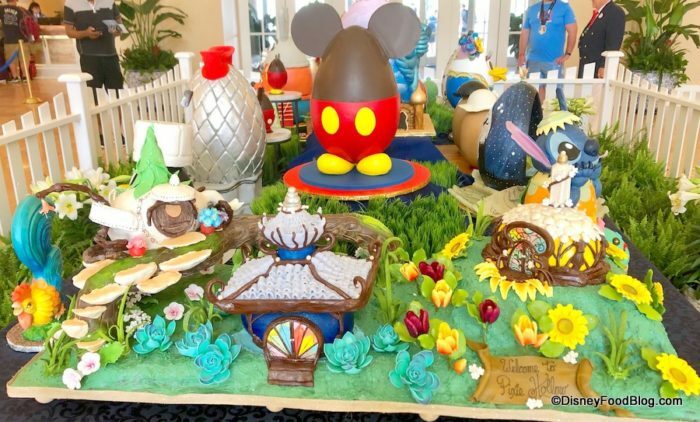 Who knew a chocolate Easter egg could do all of that? 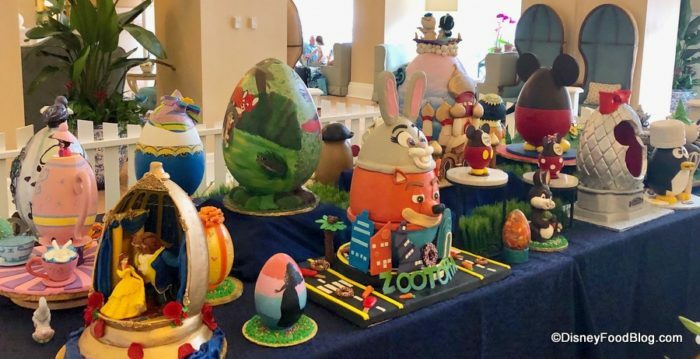 If you’re at Walt Disney World between now and April 28, roll into the main lobby of the Beach Club for this display. It’s beautiful and a true work of art. 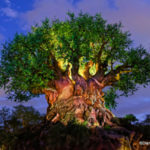 Don’t crack under the pressure of Disney Parks news! 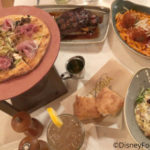 Let the DFB Newsletter help you unscramble it all! 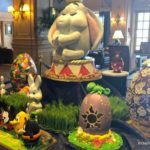 Which Beach Club Easter egg is your favorite? We can’t decide! Let us know what you think with a comment! 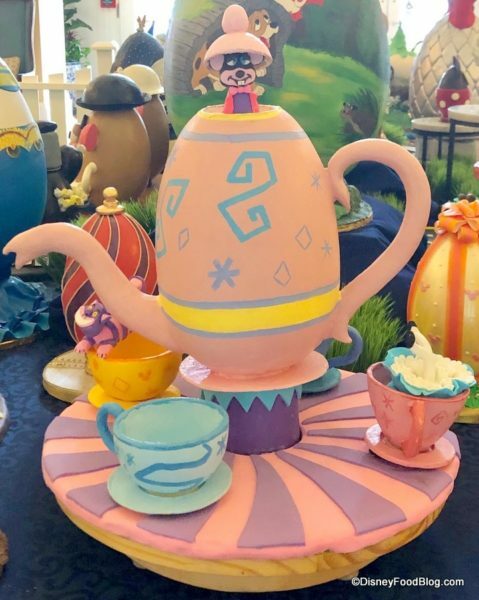 I THINK THE EGGS THAT. THEY DISPLAY OF THE. 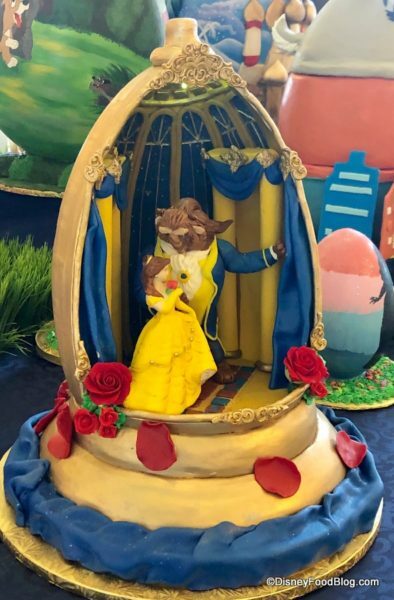 DISNEY CHARACTERS IS SUPER ASSOME AND. VERY. DETAILEDly DONE . ALSO I WOULD HAVE A VERY DIFFICULT DESIDING WHICH. ONE IS. THE BEST.